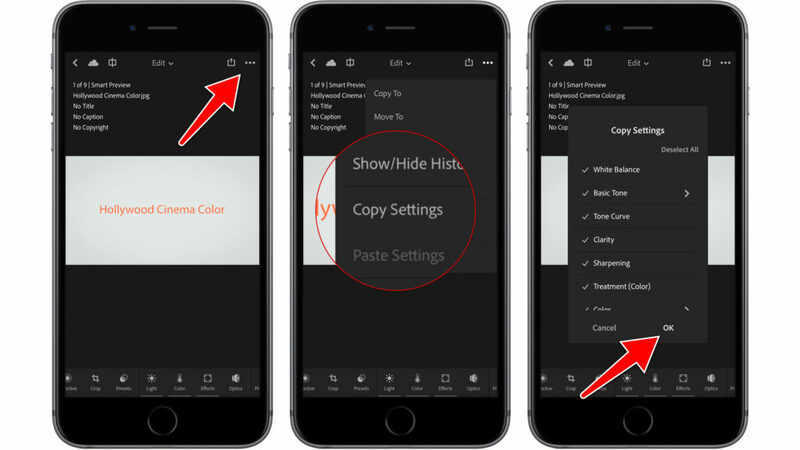 Photoshop Lightroom on your iPhone and iPad does not support the native use of user defined (Smart) Filters. And unlike photos you aren’t able sync to them to your devices either. 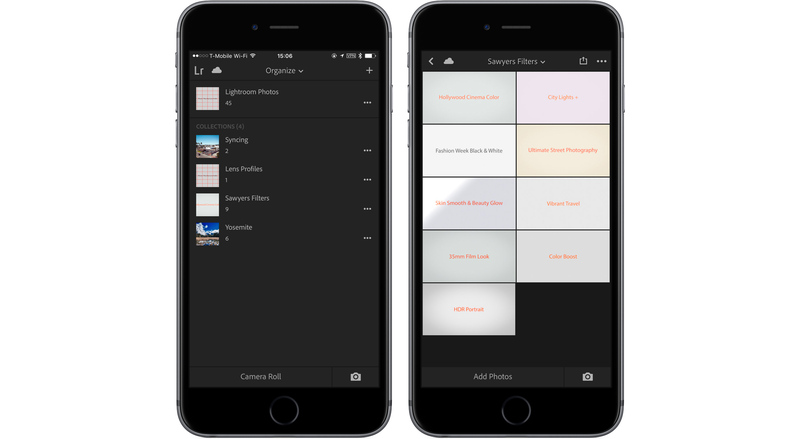 However there’s a trick to be able to use filters you have in Lightroom on your desktop on your smartphone and tablet. The basic idea is to use the ability of the mobile app to copy settings of existing photos to new photos. As an example I’ll be using Sawyer Hartman’s Lightroom Presets. The first step was creating a number of basic templates that have an 18 percent grey background and a text layer that will be used to identify them later on. I used the names of the Lightroom presets. After this was done I created collection in Lightroom that syncs with my mobile device and all 9 images to this collection. 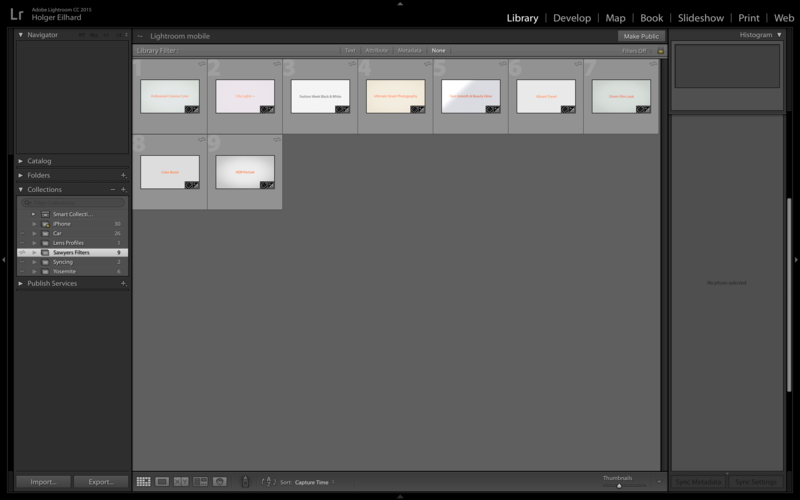 This way the templates find their way to my iPhone and iPad including the settings that were applied by the preset. 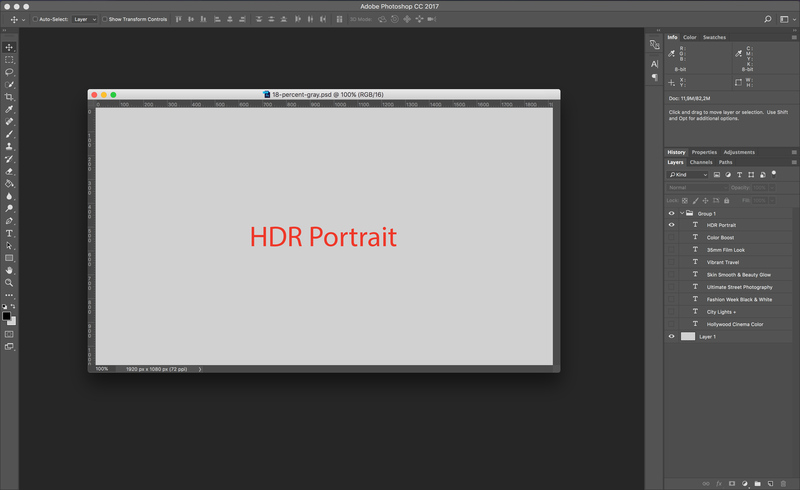 This is also a nice way to create presets to apply built in Lens Corrections to photos. For example if you’re transferring GoPro images to your mobile device and you want to get rid of the distortion, etc. I haven’t figured out how to access certain camera/lens presets in Lightroom, for example a Sony A7R II with a 16-35 f/4.0 FE lens, to an image that wasn’t shot with the actual camera. The presets exist, but aren’t accessible in the develop menu. I’m sure there’s a way, but I have yet to take a further look beyond two minutes of playing around and searching for a solution. Now that you have the basic tools and templates on your mobile device, you can start to take some photos with your phone. If you use Lightroom to take photos they’ll be available in RAW (DNG) form which captures way more information than the regular camera app. 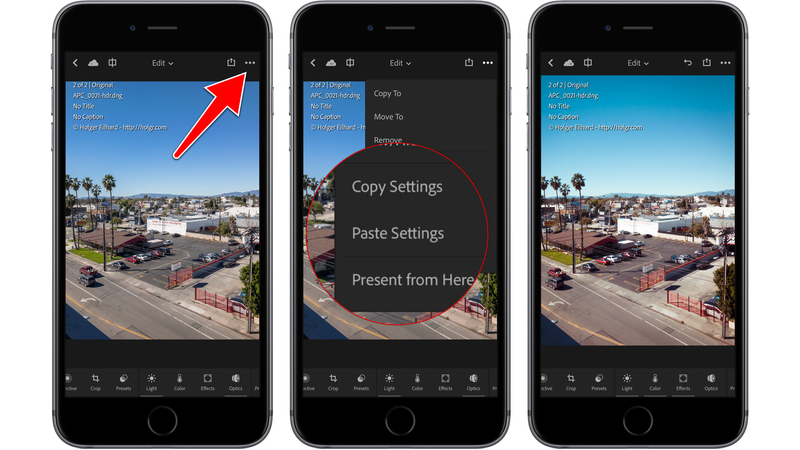 There’s also a new HDR capture mode in the newest version of the Lightroom app for iPhone, iPad and Android, give it a try. After you captured some photos, you can start working on them in Lightroom. 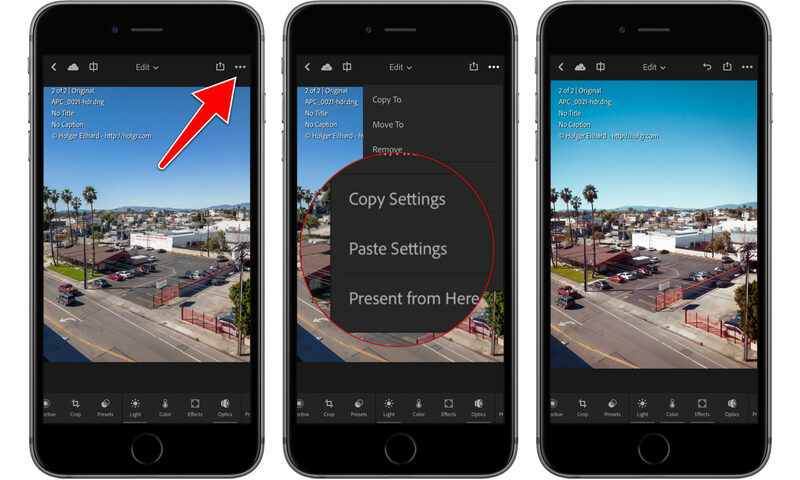 To use the filters you just synced to your phone you can easily copy the settings from one of the templates and paste it to the photos you just took. Depending on which settings your preset actually uses you might not want to copy all of them. The end result is an image you can completely edit on your phone and share from there to Instagram, Twitter or just to your camera roll.